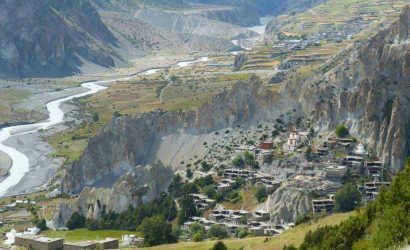 Dolpa remains as an isolated corner in the far north-west region of Nepal having a great biodiversity and cultural richness. Lower Dolpo trek with the Phoksundo Lake is probably one of the most popular treks in western Nepal. 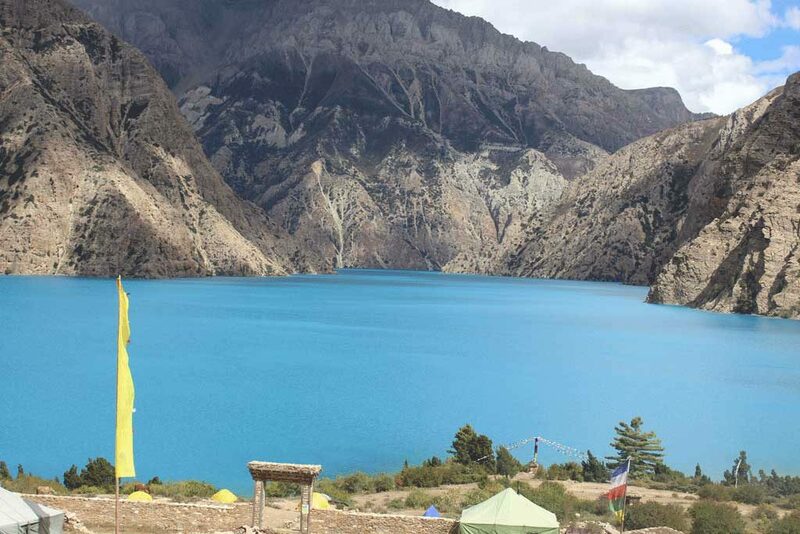 The Phoksundo Lake is also popular as the Blue Lake and contains no aquatic life. The Lake is famous for its magnificent turquoise color and ranks as the most scenic mountain parks in the world. Lake Phoksundo is one of the main highlights of Lower Dolpo trek which lies in the Shey-Phoksundo National Park. 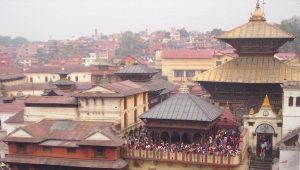 It is the largest national park in Nepal that covers an area of 3,555 sq.km. 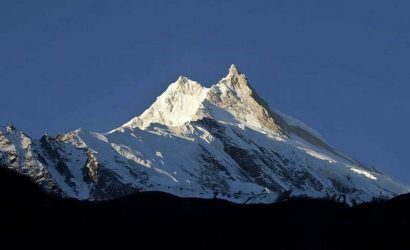 The park was established in 1984 in order to preserve the unique Himalayan ecosystem having widespread biodiversity. Dolpa is one of the most remote districts in Nepal with the fascinating villages, scenery and peace that offer opportunities to visit ancient villages, passes, lake, monasteries and also to experience the vast range of wildlife inhabiting the region including Blue sheep, Mountain Goat, Jackal, Wolf and the legendary Snow Leopard. 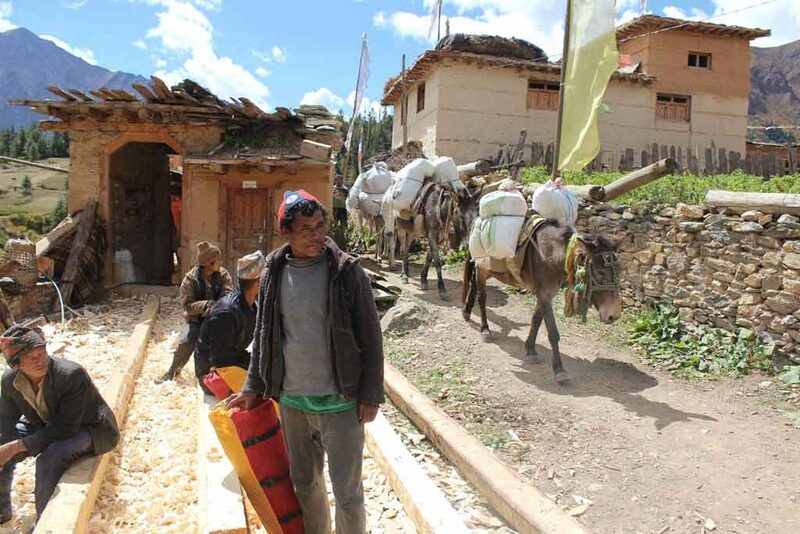 Trekking in the Lower Dolpo region takes us to the popular Ringmo village and further to Phoksundo Lake (3,600m/11,811ft) through the Dho Tarap village (4,050m/13,288ft), a region inhabited by people practicing polyandry and pre-Buddhist religion called “Bon Po” and two high passes of Numa La (5,190m/17,028ft) and Baga La (5,090m/16,700ft). Finally, the trek ends in Juphal. 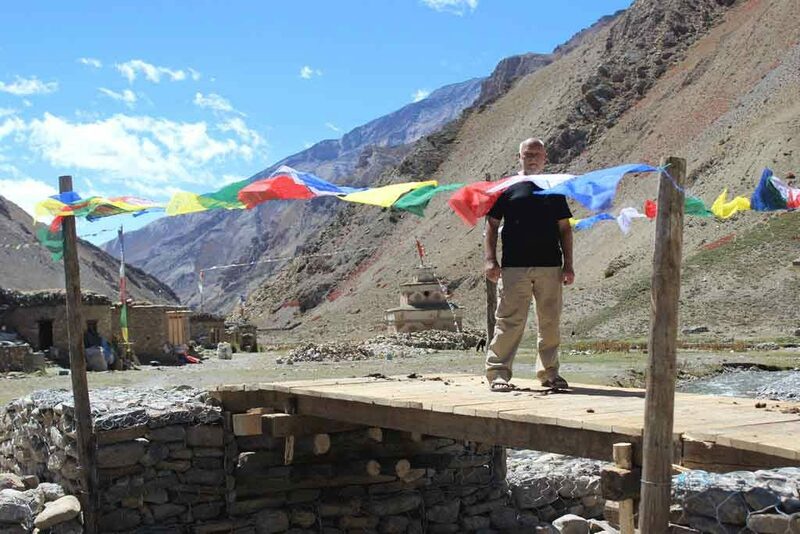 Thinking for more challenging Dolpo trek? 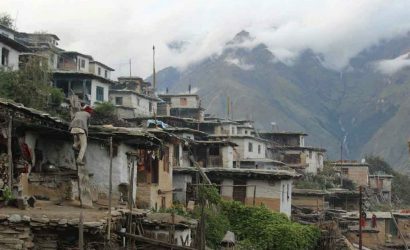 Then Upper Dolpo Shey Gompa trek would be the best alternative. Fly from Kathmandu to Nepalgunj, overnight at a hotel. 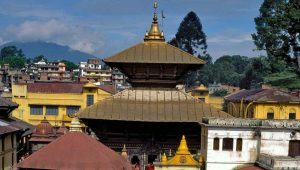 Fly Nepalgunj to Dolpo (Juphal) and trek to Dunai (2,150m/7,054ft). Trek Dunai to Sahartara (2,730m/8,957ft). 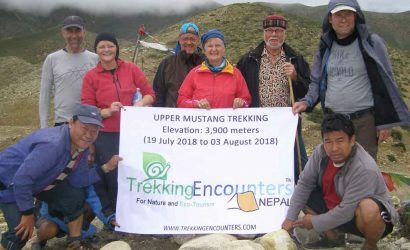 Trek Sahartara to Lahini (3,370m/11,056ft). Trek Lahini to Nauri Odar (3,800m/12,467ft). 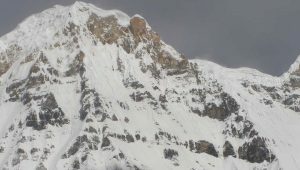 Trek Nauri Odar to Dho Tarap (4,050m/13,288ft). Rest day at Dho Tarap for acclimatization. 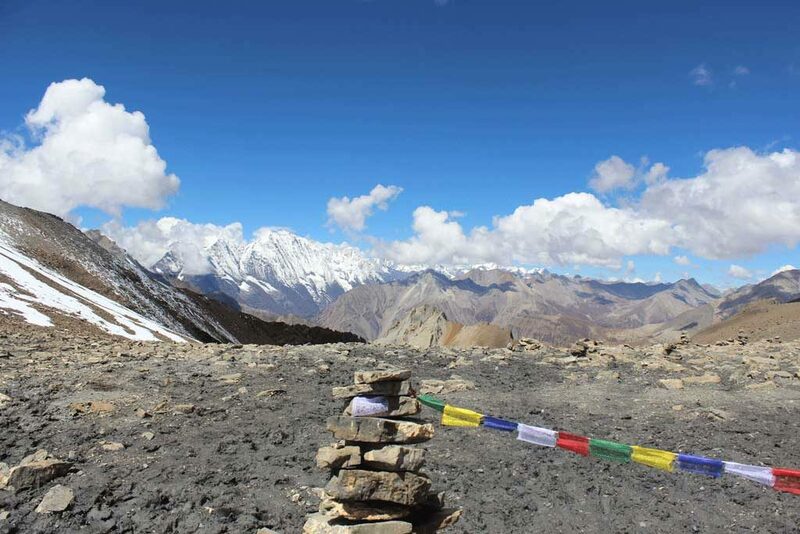 Trek Dho Tarap to Numa la Base Camp (4,450m/14,600ft). Trek Numa la BC to Baga la Phedi (4,470m/14,666ft) crossing over Numa la pass (5,190m/17,028ft). Trek Baga la Phedi to Yak Kharka (3,860m/12,664ft) crossing over Baga la pass (5,090m/16,700ft). 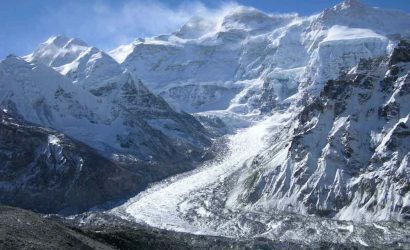 Trek Yak Kharka to Ringmogaon (3,600m/11,811ft). Rest day at Ringmogaon for excursion trek to Phoksundo Lake (3,600m/11,811ft). Trek Ringmogaon to Rechi (2,940m/9,646ft). Trek Rechi to Raktang (2,260m/7,415ft). 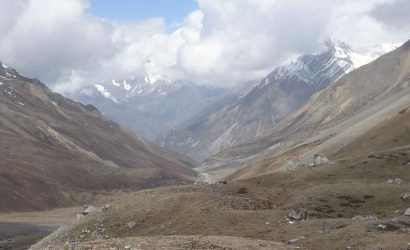 Trek Raktang to Juphal (2,400m/7,874ft). Fly Juphal to Kathmandu via Nepalgunj.